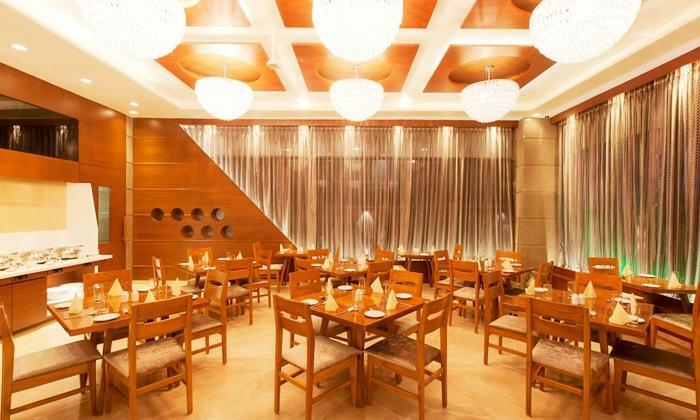 Coriander Restaurant at Hotel Cosmopolitan is located at Navarangpura, Ahmedabad. Coriander restaurant is tastefully decorated and serves a variety of vegetarian delicacies. It has a refreshing ambiance with a great taste of decor. It has a well equipped staff and provide quality service.